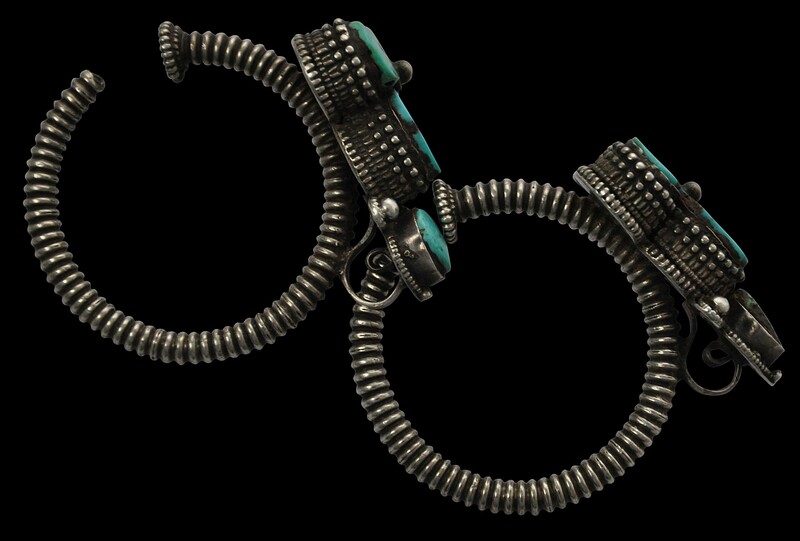 This pair of earrings would have been worn by a woman (men wore similar earrings but only a single earring; never as pairs). Each comprises a silver loop of thick, ‘pearled’ wire with a triangular-shaped bezel inset with four large turquoise plaques surrounded by granulation work and chasing. Both earrings are in fine condition. They have a fine patina and obvious age. The turquoise is not all the same shade of green/blue. 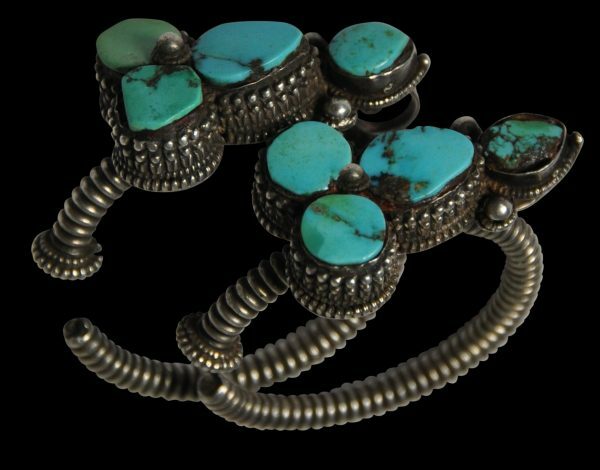 Possibly, one or two plaques are later replacements (which would not be unusual), or the turquoise has aged at different rates.